Use these free backgrounds, templates, letters, frames, and buttons for school presentations, websites, class newsletters, digital scrapbooking, and student portfolios. Thousands of presentation elements and millions of combinations allow you to customize your school projects, electronic scrapbook, or eportfolio. A friendly license allows teachers and students to use up to 50 items in a single, non-commercial project without further permission. Select from over 20,000 background slides for your next presentation. The images are available in the 1024x768 size. 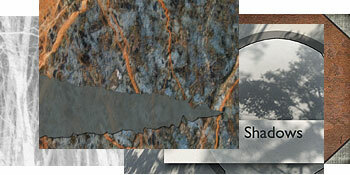 Many of the backgrounds include transparent cutouts to layer over photographs. Use in HyperStudio, Keynote, or PowerPoint presentations and projects. All images are in either GIF, JPEG, or PNG formats for use on student websites as well. Select from over 30,000 extras to include in your next presentation. Use buttons, letters, and photo objects seen below as needed for your presentation. Add navigation to your presentation or website with this collection of over 21,000 buttons and icons. The buttons and icons are available in colors and styles to complement your presentation, website, or project. The buttons have transparent backgrounds to allow use with any color presentation screen. Use these display fonts and drop caps to add visual interest to your text. Over 7,700 letters range from medieval illumination to contemporary themes and from highly ornate to simple refrigerator magnets styles. Each is available in a variety of sizes. Shaped letters have transparent backgrounds allowing for use over any style of screen. Personalize your presentation with this set of nineteenth century engravings of figures, heads, and hands. Use the included word balloons to add comments to presentation screens. Choose figures with either transparent, white, or aged paper backgrounds. The figures are perfect to use with the animation features of your presentation software. Choose from 1,250 frames and mats to highlight important photos, illustrations, or text in your presentation. Styles include rectangular, square, oval, and circular in a variety of colors and styles. Each style is available in multiple sizes. Frames are in the PNG format with a transparent cutout area for your photograph. Jumpstart your presentation with a PowerPoint template. Each of the templates has both the traditional title and content slides as well as a color scheme. Explore your creativity with a new Keynote theme. 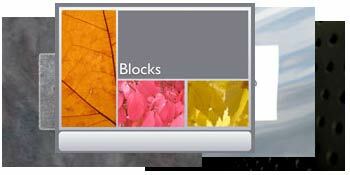 Each of the themes offers 10–20 slides including a variety of designs with transparent cut-outs. Last update: 4/14/2010. Email the project manager.